... never forget to enjoy. ... just let go, it is you holiday. ... sand and so fine that you can hear it. Pick up from your hotel around 7:30 AM. Our first stop of the day will be a stone fish farm. The stone fish has been caught small and breed up to ten year in the local farms. It can reach an over all length of 3 meters and will then be worth more than half a million Kyats. After 1,5 hour we pass a stunning karst rock formation, where farmers collect swallow bird nests. This precious natural product is used especially in China an is also worth hundreds of thousands of Kyats. It is been used as medicine and eaten in a soup for centuries. We proceed toward Jack Fruit Island. There are no jack fruits growing here, name origins from its shape. 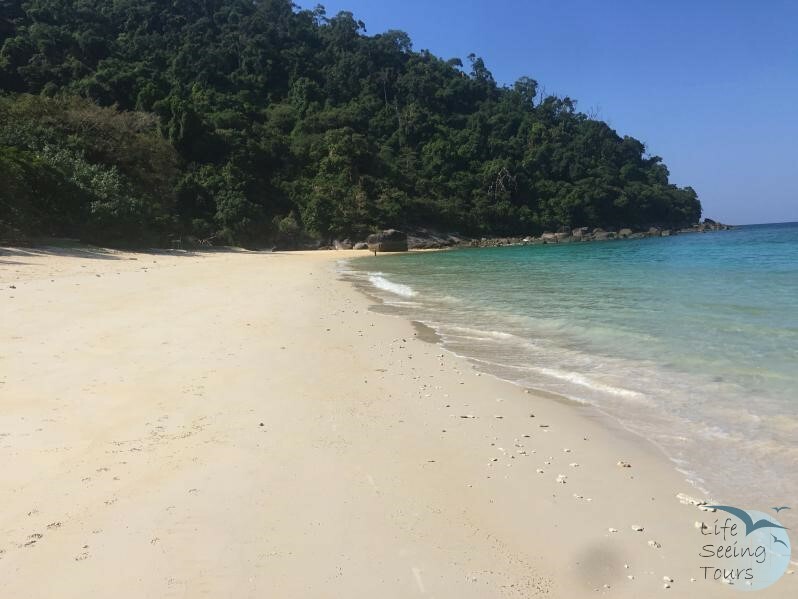 The white sandy beach stretches about 500 meters with very dense jungle behind it. 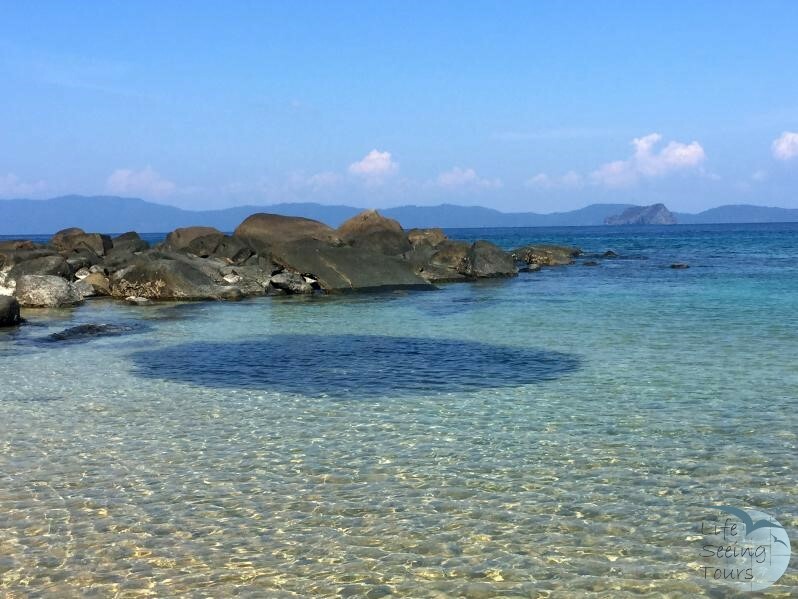 The right hand site of the beach is great for snorkeling on low and high tide. You will need to swim a bit further out from the beach along the rocks. Clown fish, zebra fish, puffer fish, parrot fish and a lot more different species can be seen between the rocks.. The hard coral garden is intact and snorkeling through the rocks with plenty of small fish following you feels a bit like going through caves. If you are lucky you come across purple soft coral with clown fish hiding in it. We serve seafood lunch, fresh fruits and cold drink under shady trees on the beach. Now it is time to relax a bit more or go for another swim. 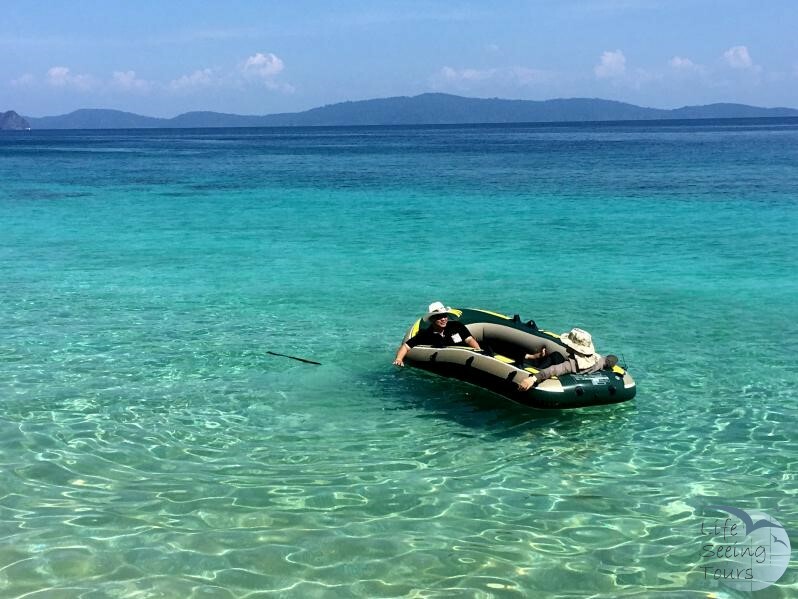 If time permitting we will visit Marcus Island on the way back to Myeik. Return to Myeik in the afternoon. 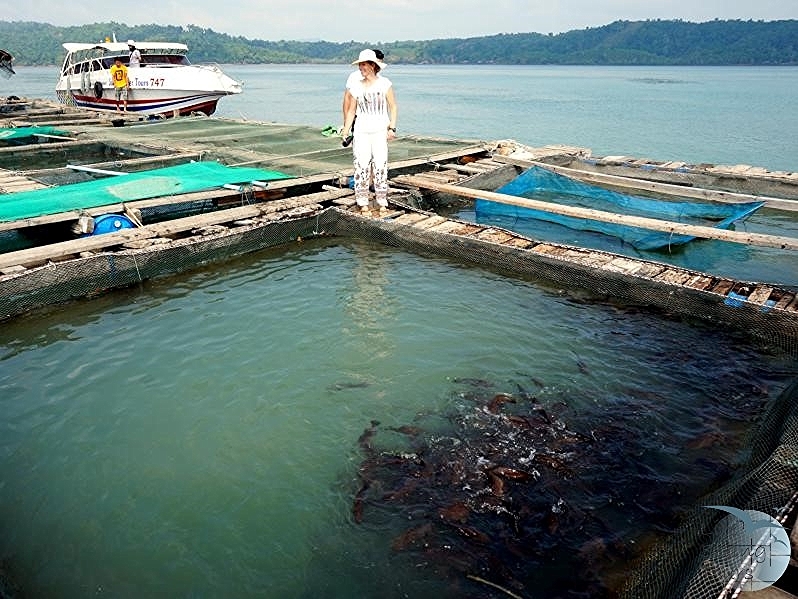 This tour is made for explores who would like to learn about fish farming process as well. Please note: The trip need a minimum of 12 person. The program may change depending on tide and weather conditions.